We have had another fun packed day at Heatree and thankfully it has stayed sunny all day. Today the children tried their hands at raft building. 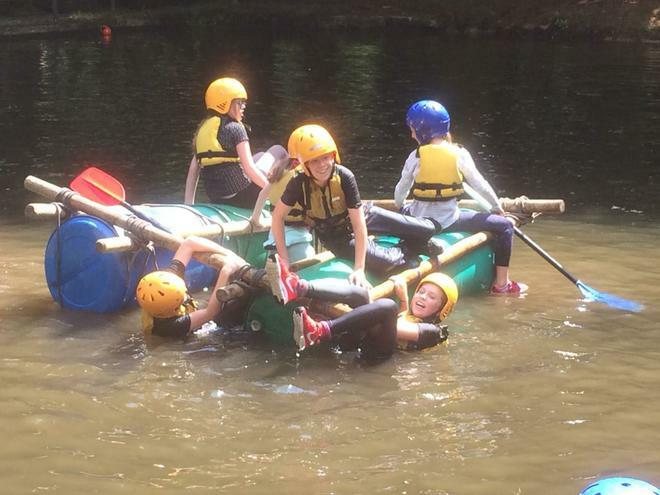 While on the lake, some children learnt why it is important to tie the knots tightly and what happens if you put too many people on one side of your raft. Throughout the session there was lots of splashes and laughter as almost everyone fell in at some point. 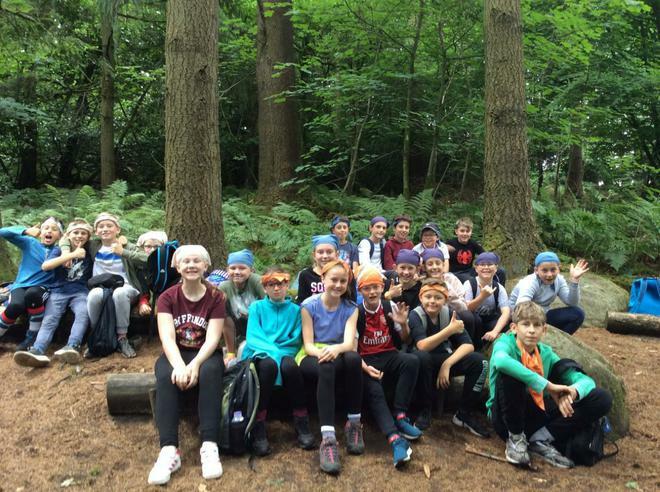 For our alternative session, one half of the group did problem solving activities in the woods and the other half practised their archery skills. The children have just had their evening meal of lasagne with garlic bread and then crumble for pudding. Now the children are looking forward to an evening of pool, football, giant Jenga and friendship bracelet making. We have been so pleased by the children’s good behaviour and their team spirit. Many of the Heatree staff have commented on the children’s impeccable manners.